Both Rama and Veliaj share common characteristics: since they have not developed any virtue they are using criminal policies to profit as much as they can and to jail anyone who opposes them. 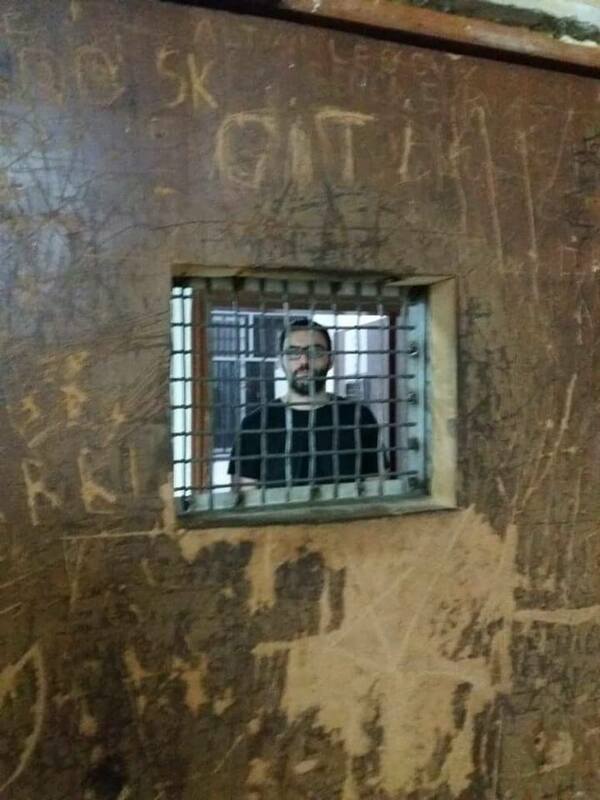 Picture: Arlind Qori in jail, because he and other activists, are opposing the policies of the mayor of Tirana. In our country is being installed a clique inside the so called ''socialist'' party which governs the country. They are starting to jail well-known activists who oppose the policies of the mayor of Tirana. The same activists have been jailed last year by Rama. Both Rama and Veliaj share common characteristics: since they have not developed any virtue - they are using criminal policies to profit as much as they can and to jail anyone who opposes them. Without any doubt, we will be the next ones being in jail. Tyranny is being used by tyrants...so, please, expose this tyranny in your countries. Note: you may see some videos, where the police has used violence against the activists, attached on the albanian title above.